Robert Hanson (Jakob Cedergren) is a Copenhagen police officer who, following a nervous breakdown, is transferred to a small provincial town to take on the mysteriously vacated Marshall position and subsequently gets mixed up with a married femme fatale. Robert’s big city temperament makes it impossible for him to fit in, or understand the uncivilized, bizarre behavior displayed by the townspeople. 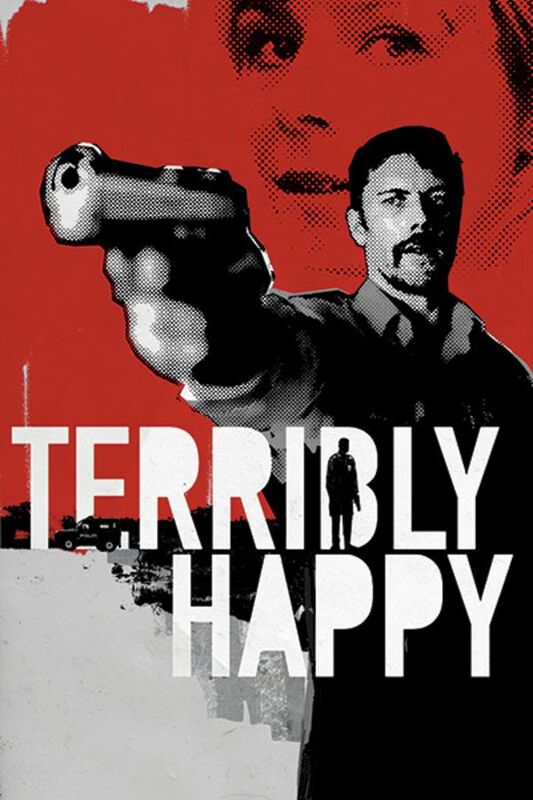 Quickly spiraling into an intense fable reminiscent of the Coen Brothers’ BLOOD SIMPLE and NO COUNTRY FOR OLD MEN, TERRIBLY HAPPY displays a unique, often macabre vision of the depths to which people will go to achieve a sense of security and belonging. A police officer is sent to a small country town in Sweden for a second chance. He soon finds himself in a strange town with different rules on a psychological thriller of a ride that brings him home.